SHENZHEN, China, Dec. 22, 2017 /PRNewswire/ -- Huntkey Enterprise Group, a well-known brand of power solution provider, is holding a special Christmas giveaway on its Facebook page. As a huge fan of Christmas, Huntkey is very excited to announce their first Christmas activity, which will be held from December 22 to 25. To celebrate this amazing festival, Huntkey is inviting everyone to visit its Facebook page for a chance to win a secret present. 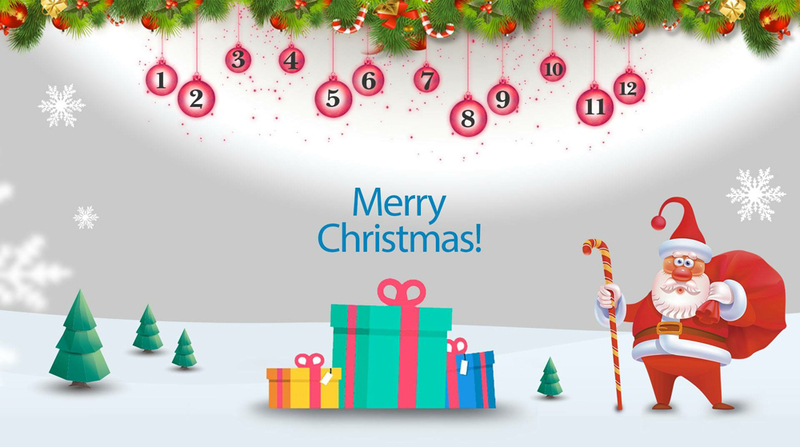 Twelve different Christmas presents have been prepared for Huntkey's friends on Facebook, these presents are marked by numbers 1 to 12. The secret presents and their winners will be revealed on Christmas Day December 25. Huntkey, founded in 1995 and headquartered in Shenzhen, is a member of The International Power Supply Manufacturer's Association (PSMA) and a member of The China Power Supply Society (CPSS). With branch companies in the USA, Japan and other areas, and cooperating factories in Brazil, Argentina, India and other countries, Huntkey has specialized in the development, design, and manufacturing of PC power supplies, industrial power supplies, surge protectors, adapters and chargers for more than twenty years. With its own technologies and manufacturing strength, Huntkey has served OPPO, Lenovo, Huawei, Haier, DELL, ZTE, Bestbuy and many other large enterprises for years, and has received unanimous recognition and trust from its customers.